White Dragon Judo Club held its monthly judo training camp from February 16-19, 2012. There was a wide turnout for this training camp as many judokas are preparing for the United States Senior Judo Nationals in April. This months training camp featured Micheal Ostrowski from Memphis Judo and JiuJitsu Club in Memphis, Tennessee. Ostrowski is a standout grappler. He holds the rank of sandan in judo and is a master of Russian Sambo. An avid competitor, he is a 2 time collegiate judo all american from Michigan State University. With his numerous accomplishments on the mat, Micheal has given a lot back to the martial art. Sensei Ostrowski is the president of Tennessee Judo Inc., the governing body of Judo in the state of Tennessee. 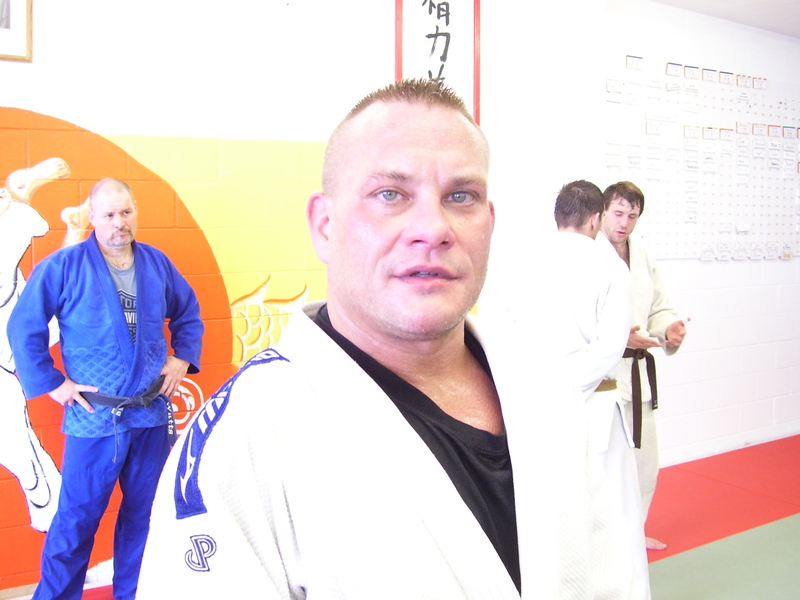 He is also the head instructor of the junior and senior judo programs at the Memphis Judo Club. It is always good to see Sensei Ostrowski at any tournament, workout, or judo clinic. We at White Dragon Judo Club would like to thank Sensei Ostrowski and his students for attending the February judo training camp. 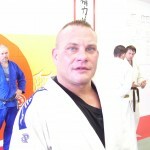 You can train with Micheal Ostrowski at his upcoming judo training camps at the Memphis Judo/JiuJitsu Club from March 23-25, 2012 and April 13-15, 2012. Hope to see you there. 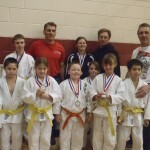 Sensei George Weers hosted the Hollis Park Invitational Judo Tournament in Mapleton, Illinois on February 12, 2012. 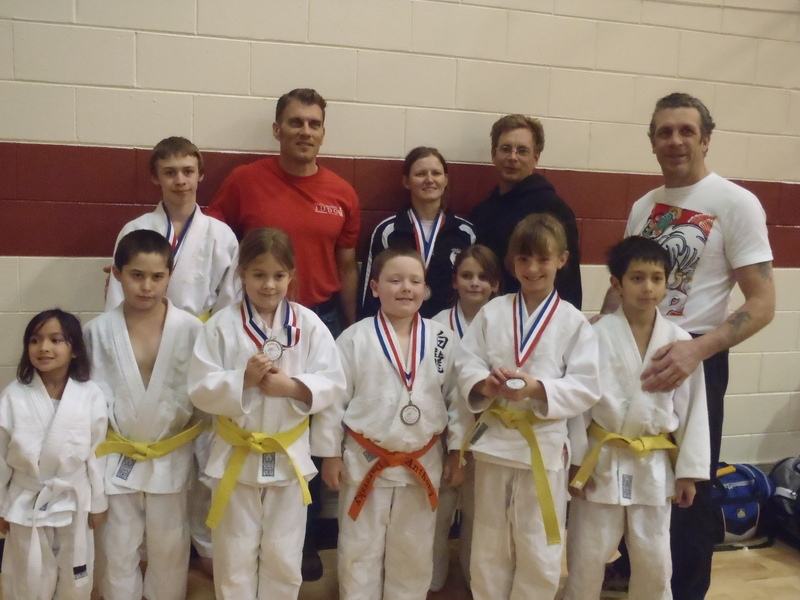 White Dragon Judo Club was represented by nine judokas who did not cease to impress. Devin Busch and Shawn Butler fought well in their divisions and showed why they will be the ones to watch in future tournaments. They both placed fourth. 5 year old Jocelyn Butler fought in 9 year old lightweight division. On paper Jocelyn was outclassed but on the mat she was tough competition. The judo bumblebee showed great skill beyond her age on her way to a 4th place finish. Jordan Ashen continues to improve and is showing that those extra practice sessions are beginning to pay off. Jordan scored a bronze in his division. Mackenzie Grob went 1-1 on the day displaying a slendid osotogari for ippon in her last match. She captured the bronze for her division. Kayla Baker grabbed a silver medal with an awesome performance. Mackenzie Baird’s stock continues to skyrocket. The Saint Louis native displayed a tai otoshi reminiscent of the great Bonnie Korte. Baird won all of her matches by ippon and grabbed her first gold medal of her young judo career. Anthony Darevsky was red hot in this tournament. He was not intimidated by fighting in a higher age bracket. Anthony also won all of his matches by ippon going 4-0 on the day. Anna Feygina anchored the senior division. She displayed a relentless attack that her opponents did not have an answer for. She collected another gold medal. Overall, the judo team put out a solid performance showing improvement in a number of categories. These judokas show no signs of slowing down.